If your Greensboro, North Carolina, company is considering a move to another location or needs assistance planning an office construction project, Relocation Strategies Charlotte (RSI Charlotte) can help. Our team of professionals has been providing expert project management analysis for more than a decade and has the expertise needed to help you make the smartest and most cost-effective decisions for your company. We will listen to your goals, analyze your options, and help you avoid pitfalls that could ultimately affect your budget and your company’s bottom line. 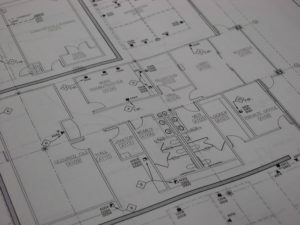 We conduct feasibility studies, test fits, and more to take the guesswork out of the process and ensure that your project goes off without a hitch. At RSI Charlotte, our project management analysis services take the pressure off your company so your employees can go about their business and focus on productivity. Once you’ve decided what the next step for your company is, we will figure out how to make it a reality. We can help determine if an office space you are considering will suit your needs and allow for smooth day-to-day operations. We can also determine which vendors will be needed to turn an office space you are considering into your company’s home. And, if desired, we can manage said vendors to ensure that your project is completed on time and within your budget. If you would like additional information about the construction and move management analysis services we offer to businesses throughout the Greensboro, NC, area, contact RSI Charlotte today to schedule an initial consultation with our experts.